In Flashover, Nick Evans, a captain in the Hidden Cove fire department, believes he committed the worst of crimes, even if it was to protect his little sister. 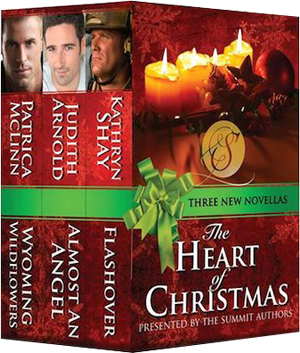 He’s not ready for a relationship with Stacey Sterling, a firefighter’s widow who’s determined to help him heal. But on Christmas, Nick learns the meaning of redemption and love.